What are thoughts on new 911 T.
Last edited by grant on Sun Dec 23, 2018 8:36 am, edited 1 time in total. Last edited by grant on Sun Dec 23, 2018 8:41 am, edited 2 times in total. Fell in love with the T. My first tail dragger in 30 years. Ordered one from factory to my specs. All good stuff no bs like $800 painted vents. Just go fast stuff like PCCBs, sport buckets, rear seat delete, Such a cool car. 911 T has such awesome linear throttle response it drives like NA car. 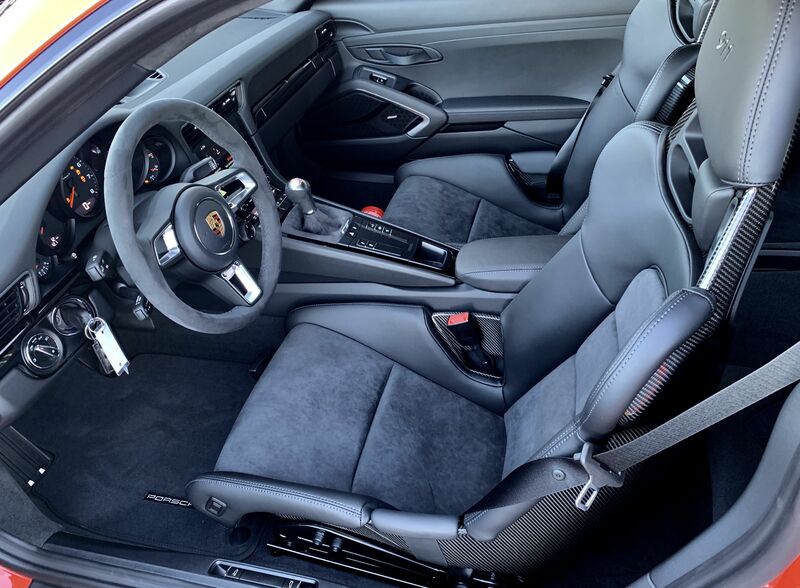 Porsche put short ratio box in car thank you thank you Porsche gods! I actually get to shift! Rear wheel steer is awesome. Delivery in late Jan as 2019 model. dant wrote: Very nice Grant! Hey Dan! Hope all is well with you! Took dealer car out into Monterey hills. T is a very fun car. Very focused and balanced. Great 911 sound track. Turbo torque but not too boosty feeling. Nice responsive throttle. Great steering feel. This should be a 20 year car for me. Does everything right. First car I have had ability to spec exactly way I want it from factory. 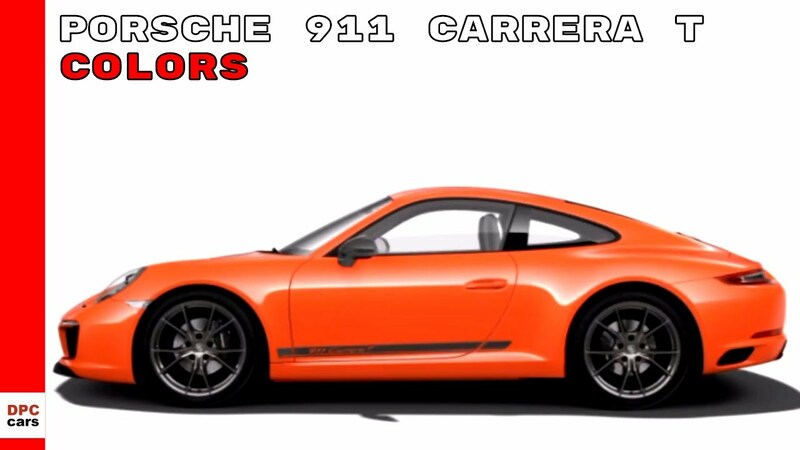 Porsche got this one right. Loving this car! First Porsche I have had that does everything right from factory. Perfect balance, great turn in, I fit in stock seat with my helmet ....just barely :lol1: ....but hey better than having to replace the seats. 100% a drivers car. Really tons of fun thrashing this 911 in mountains around my place. And let me say PCCBs on new 911 ....mind blowing. Should have enough break in miles on the car to AX next Saturday! It came with PS4 S tires. And I’m sort of stuck with 20 inch tires for now so deciding on AX tire. I’m thinking Michelin PS Cup 2 for AX eventually as that’s about only proper size performance tire matches my rear 305/30/20 oem spec. Can stretch 295/30/20 RE71 R on 11.5 rear I guess ....but just feels like I should stick with a Porsche spec tire. But never have driven Cup 2s in AX before. Last edited by grant on Tue Mar 05, 2019 2:57 pm, edited 1 time in total. Love the color combination! That is a stunner....but Orange is one of my favorite colors. dant wrote: Love the color combination! That is a stunner....but Orange is one of my favorite colors. 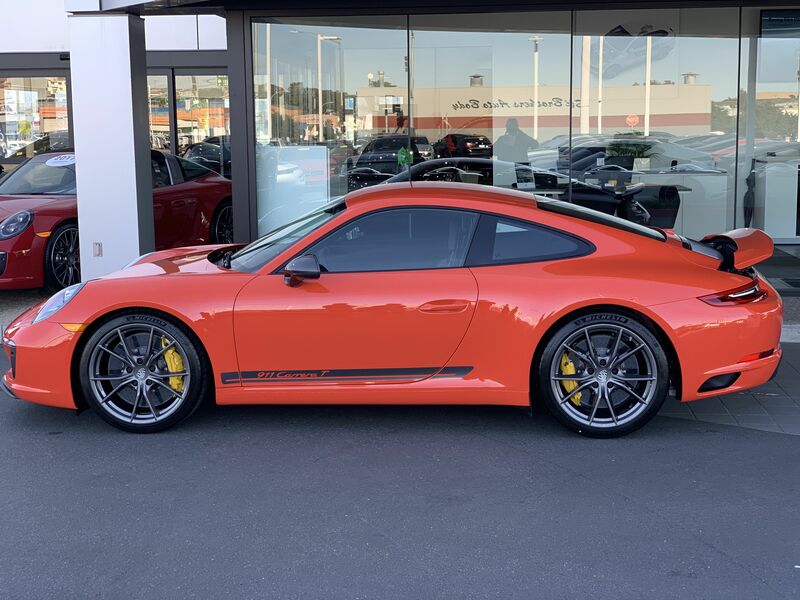 My first Porsche when I was 18 was orange. My dads old 914. Took Sheilah to HS Prom in Orange 914. I did orange partially for sentimental reasons but loved way this turned out regardless! 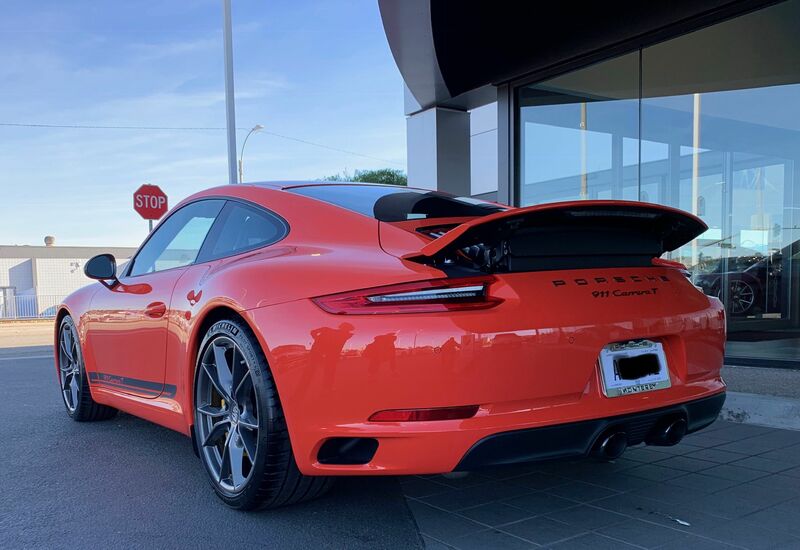 It’s only one of 19 orange Ts in US too as of last month. Wow is right. That's a beautiful car Grant. Makes me want to come down to Marina to see it in action. Nice looking car. Very cool!!!! !